Hi friends, ICAI had taken CA IPCC exams in May 2017. The result of IPCC May 2017 was also declared. Here we have also uploaded those certified copies of CA IPCC May 2017 Adv Accounting exams. So, few candidates who applied for the verification of answer sheet have shared some certified copies of IPCC Law Ethics Communication May 2017 which is in PDF Download Now below. 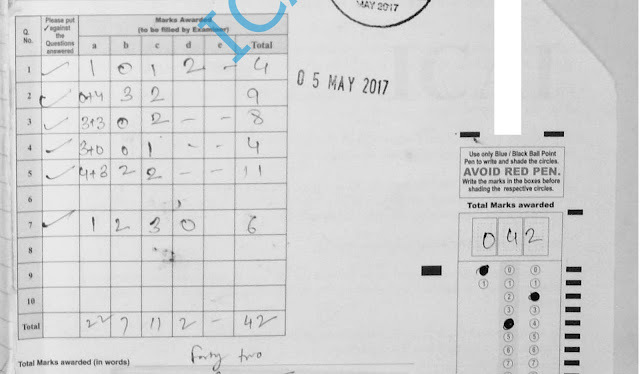 CA IPCC May 2017 Law certified copies 42 Marks available for download from below given a link. You can find & download other subjects latest certified copies here in a search box. Subscribe your email below for more certified copies updates and bookmark our website. Download below PDF for CA IPCC Law Certified Copies May 2017.